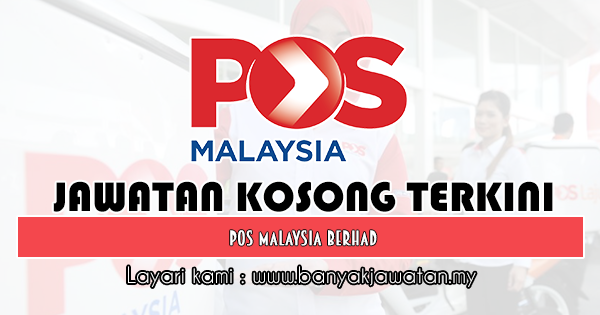 Pos Malaysia Berhad is Malaysia’s premier logistic and communications service provider. We have a widespread network of over 1,000 touch points countrywide that includes Pos Malaysia Outlets, Pos Minis, Pos24 (Self Service Terminals), Post-On-Wheels (Mobile Outlets), postal agents and stamp agents, making it one of the most extensive retail networks in Malaysia. * Sila baca iklan dan cara memohon melalui poster di bawah sebelum memohon. 0 Response to "Jawatan Kosong di Pos Malaysia Berhad - 30 April 2019"